Aerospace coatings must perform in demanding environmental conditions, protect the substrates underneath and provide a beautiful appearance, all at increasingly demanding durability requirements and at coating weights as low as possible. BASF’s Tinuvin CarboProtect advanced UV absorber blocks destructive UV radiation and provides advanced substrates, such as CFRM with protection unmatched by conventional UV absorbers. 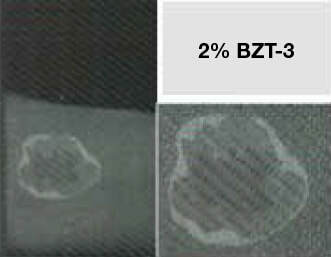 With this novel technology, it is possible to engineer thinner coatings with increased durability and a maximum in photooxidative stability without sacrificing optical quality of the aircraft coatings. Thinner coatings cut down weight and require less drying time, thus reducing fuel consumption and maintenance costs. Furthermore, CFRM substrates are better protected even with pigmentfree coatings, allowing the carbon fiber weave to be displayed and utilized as a design element, for example, in parts in the cabin interior. 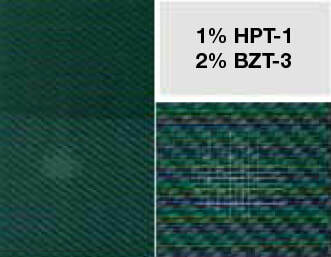 Composites based on aromatic polymers, e.g. 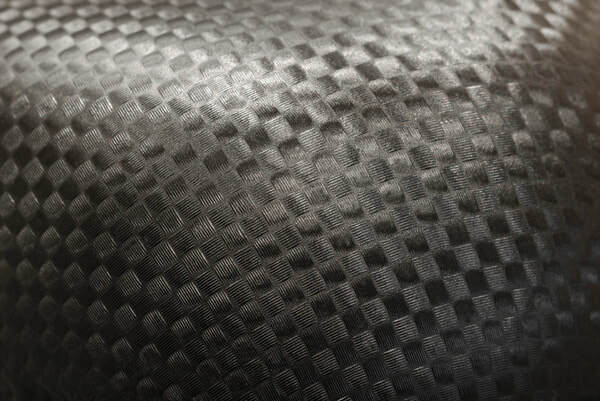 carbon fibers in a thermoset aromatic epoxy matrix are inherently light sensitive. Fundamental studies reveal that critical wavelengths comprise both the UV range (280–380 nm) and the visual range (400–420 nm). No traditional UV absorber technology ​protects as far out as 420 nm to prevent degradation of epoxy-based CFRM. 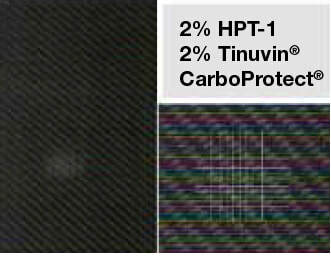 Tinuvin CarboProtect was designed to do just that: based on a very red-shifted, benzotriazole-based technology, its spectral coverage comprises UV-A and UV-B as well as the near visible wavelength range, with a distinct absorption in the UV/Vis area (380–420 nm) as shown in Figure1. It features a high extinction coefficient and excellent photo-permanence. 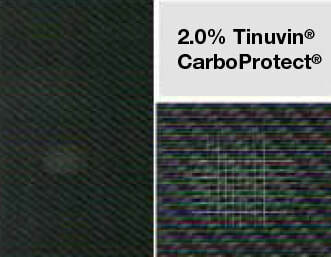 Tinuvin CarboProtect is a solid UV absorber, designed for solventborne coatings. While it was originally developed to stabilize carbon fiber reinforced epoxy, it is also suitable for coatings, laminates and plastic substrates as well as base coatings requiring strong protection both in the UV-A range and near visible spectral range.